In International Packing, having our network across some of the major cities of the country & abroad. We take care of all the relocation details and provide you with professional agents, experienced packing and loading crews and professionally trained drivers. 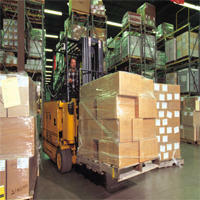 All this leads to the safe delivery of your goods to the new destination. Super Home Shift Packers Movers Packers and Movers company specializes in total logistic solutions of any kind of household stuff and office equipments from Bombay ,Haidrabad ,Banglor,Puna ,Jaipur, Aagra, New Delhi, Delhi NCR, Ghaziabad, Chhennai, Patna, Ahmedabad, Faridabad, Indore, Kolkata, Chandigarh, Ranchi, Samastipur and its offices to anywhere in India. Super Home Shift Packers Movers packers and movers company specializes in the best of packaging, transiting, unpacking, loading and unloading of the customer goods to the utmost satisfaction of the customer.